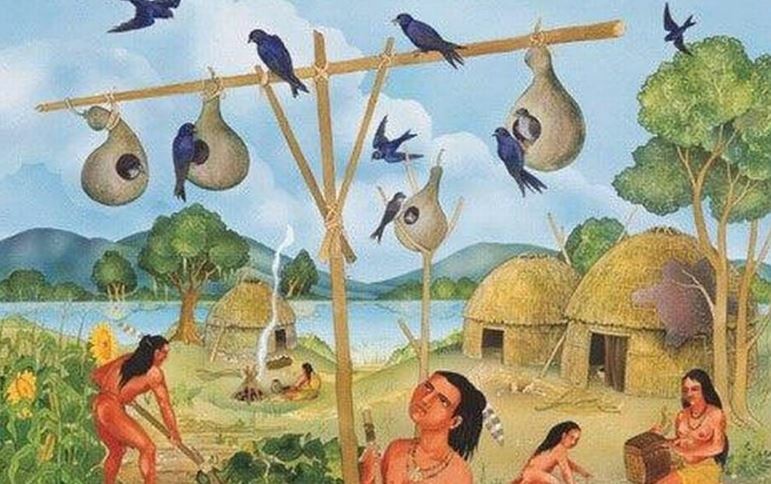 Visitors are invited to Cahokia Mounds for a program by John Miller on Purple Martins on Saturday, June 9, 2018 from 10 – 11 AM. Local members of the St. Louis Audubon Society and the Purple Martin Conservation Association will talk about the natural history of the migratory birds, including their total dependency on human-provided housing, and will provide tips on hosting them. Meet at the large rack of nesting gourds on the parking lot south of the visitor’s center. 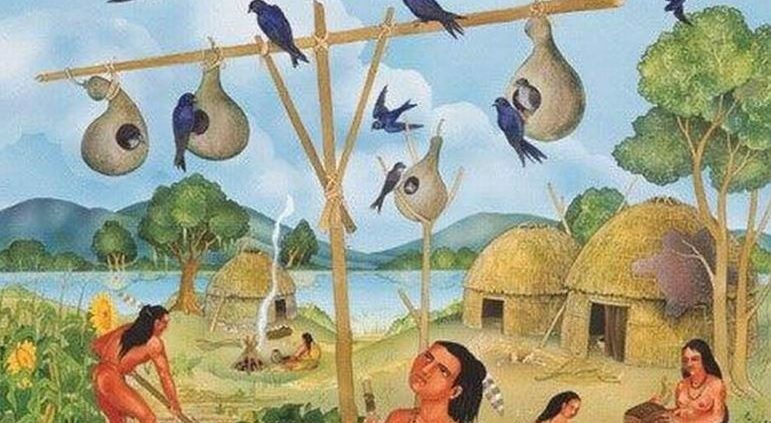 The rack of gourds will be lowered briefly to demonstrate a nest check of the baby Purple Martins. Information about Purple Martins will be handed out. This event is free and open to the public.